About 50 individuals — mainly real estate agents or people paid by them to wait in line — had assembled by 3 p.m. at the makai end of Keeaumoku Street near the sales office for the tower called Azure Ala Moana. The sales office will open today at 10 a.m. The cheapest unit up for sale is a 504-square-foot studio that the developer “estimates” will cost $550,000, though that is subject to change. Only one studio is available. The biggest units are expected to sell for over $2 million. Dennis Pak, a 23-year-old student at Kapiolani Community College, was in line for his parents, who he said are interested in a smaller but newer condo than the one the family lives in now farther up Keeaumoku near Kinau Street. Pak said his family, which lives in a three-bedroom condo, is interested in a two-bedroom unit in Azure and is attracted by the location of the tower planned on a site mauka of a Walgreens store that’s on the corner of Keeaumoku and Kapiolani Boulevard. The first person in line, arriving at 6:15 a.m., was real estate agent Khai Tran, intending to place an order for a client, according to his wife, Aya, who took her husband’s place at about 8 a.m.
Aya Tran brought her 6-month-old baby and mother along with some water, snacks and “a lot of diapers” but planned to switch off with her husband in the evening. She said the developer and its sales agent did not indicate whether they would arrange for some kind of placeholder system so people in line don’t have to stay overnight. A spokeswoman for the developer, an affiliate of ProsPac Holdings Group LLC, said she was not aware of plans to relieve the group. The developer or its agent, Heyer &Associates LLC, also is not disclosing prices until today except for the studio’s estimated price and to say that one-bedroom units start in the mid-$600,000s. 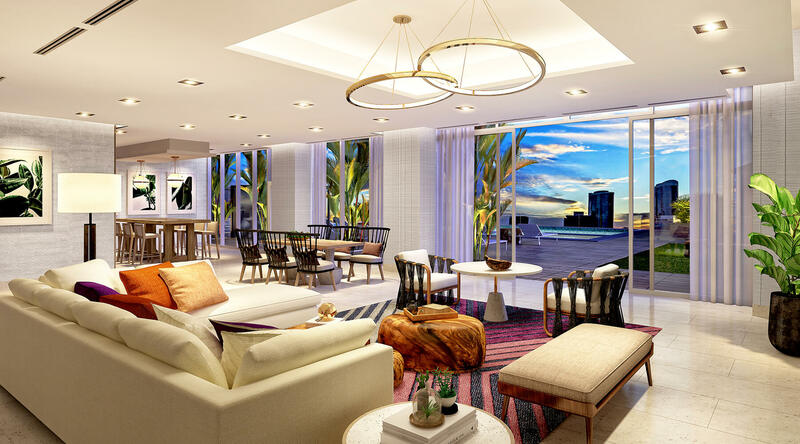 Isaiah Yuuki Block, principal broker of Seven Signatures International, said Azure two-bedroom units range from $800,000 to $1.2 million and that three-­bedroom units are $2.1 million and up. One tower, Kapiolani Residence, is nearing completion nearby while several more towers, including some with a mix of residential condos and hotel units, are planned for the area between Atkinson Drive or Kalakaua Avenue and Piikoi Street. Azure is designed to have 330 condos, of which 165 are being released for sale today to buyers who attest that they will reside in the units. 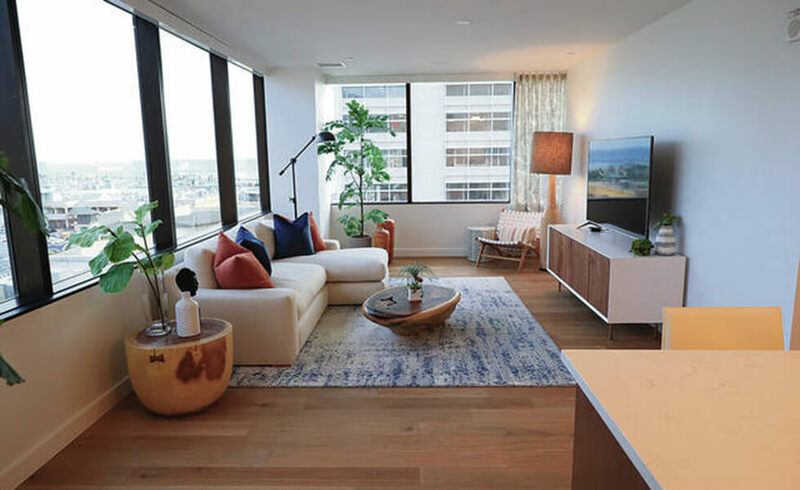 The tower also will have 78 rental apartments for local residents who earn no more than 80 percent of the median income in Honolulu to meet a city affordable-housing requirement. Construction is projected to start next year and be completed in 2021.